When I started studying financial markets, I read every book that caught my eye. I read bad books, good books, books with good feedbacks, with bad feedbacks. The booklist I’m going to share with you, in my opinion, is universal. I’ll give a comment on each book – why I recommend it and at what point in the process of studying trading in the market it should be read. I urge you to study each item on the recommended booklist. This information will be useful for both beginner traders and experienced ones who want to improve their results and to be more scrupulous about the trading system building. “Technical Analysis. Study Guide” by Jack D. Schwager is the book on technical analysis, which, in my opinion, is a complete encyclopedia of technical analysis. After reading this book, you’ll get general information on all possible technical analysis tools. This book isn’t a workshop to start trading in the market, but it’s great for understanding what tools have been being used in trading. Most of these tools aren’t discussed within “Trading. Successful start” course since we focus on the approaches that are applicable in real market conditions. 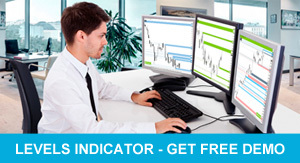 As you understand, basically, not all market analysis tools are applicable in trading. However, this book by Jack Schwager helped me in my time see some mistakes I made when trading in the market. At the end of this book, the author gives several examples of trades he carried out using market analysis tools told in the book. In my opinion, most books on technical analysis are in some way copied from this book by Jack Schwager. Thus, after reading it, you can provide insight into the primary source and gain complete academic knowledge associated with trading in the market that can be quite useful at the beginning of studying trading. In my experience, most mistakes beginner traders make are due not to the fact they have no knowledge of the principles of determining market entry and exit points or certain technical analysis tools, but to the incomprehension of human psychology in terms of trading in the market, emotions and their influence on decision-making. Psychology of trading is the subject I encourage to study in addition to any practical training course. Books on psychology of trading, as well as literature on money and risk management are the most important part of any trader’s library. Such books let us shed light on the mistakes most often made by other traders. Knowing about these mistakes, you will be warned and will be able to more efficiently analyze your own trading. Some of the best books on psychology of trading are “Market Wizards” and “New Market Wizards” by Jack Schwager. It’s a set of interviews with fund managers and professional traders, namely best traders Jack managed to meet. Traders, the author could talk to, say roughly the same thing, i.e. follow risk and money management rules, since this is the most important rule in trading. The book complies interviews with traders who use both technical and fundamental analysis or are the followers of one of these methods and ignore, and sometimes even ridicule the alternative approach. Nevertheless, regardless of what market analysis tools they use, all of them say that the most important thing in trading in the market is following risk and money management rules. This is the amazing set of interviews that each trader, I believe, has to read at least once in life. The author of the next book is Curtis M. Faith. His book “Way of the Turtle. The secret methods that turned ordinary people into legendary traders” describes an interesting experiment done several decades ago. Two successful professional traders recruited a group of newcomers and trained them to trade in the financial markets. After that, beginner traders were given capital to manage, that is, beginners didn’t risk their own capital when trading real money. What were the results of this experiment? After reading this book you’ll know whether they succeeded in trading in the market or not. I’d like to note that it was written by one of the participants in this experiment. This is a visual and life sketch on the psychology of trading, since the book describes the emotions of the participants in the experiment and the impact of emotional trading on the result. The book written by one of the participants in this experiment, in my opinion, is noteworthy. The next book which, I also believe, one should read at least once in life is a book on trading and its role in the life of one of the most famous traders of the last millennium, Jesse Livermore. The book is called “Reminiscences of a Stock Operator”, the author is Edwin Lefèvre. This is a bestseller, translated into dozens of languages, republished dozens of times. The book describes the events happened 100 years ago. The trader, whose life is shown in this book, started with little capital and became one of the largest traders of the time. The book clearly describes the logic of market analysis and decision-making, when the main character was just a small speculator, as well as the approach to trading in the market after becoming a major trader. Psychology of trading and the influence of greed and fear on trading decisions are described in an exciting and simple manner. After reading this book, you can better understand the logic of both private traders and large speculators, whose behavior psychology doesn’t change. In my opinion, this is an amazing book, which I re-read with pleasure at least once a year. Its style of writing is close to (general) fiction, it’s easy to read, and I urge you to pay attention to it. One of the most famous books on money and risk management is the book by Ralph Vince. I think this is one of the most worthy books on this subject. It is called “The Mathematics of Money Management”. Initially it may seem slightly complicated, but it’s where you can get knowledge about risk management and calculating the optimal position size. The next two books I consider to be just phenomenal examples of high quality literature that can change your philosophy of perceiving the world of trading, company and business valuation and investing in stocks. The first book was written by Peter Thiel. He’s the co-founder of PayPal, a billionaire who built his wealth investing in start-ups and managing his established business. In my opinion, Thiel is one of the most interesting investment philosophers of our time. So, I recommend reading his book “Zero to One”. It reveals the general philosophy of making life choices: in the field of investment, business valuation, assessing the opportunity to participate in projects that may come along. I’m sure that after reading this book, you’ll look at the world a little differently. This is really an awesome book, which, in my opinion, you should read if you are willing to consider trading as a business, not gambling. The author of the second book is Nassim Taleb. He is the author of several books on the philosophy of investing. “Fooled by Randomness” is one of his first books. Reading his books will allow you to look differently at the world of risks, finances and investing. Nassim Taleb describes in his book the most common mistakes traders make when starting trading in the financial markets. Moreover, not only traders, but also all people who somehow make financial decisions. I can recommend reading this booklist at first. I am a big supporter of lifelong learning and try to constantly read and learn something new. If you want to get additional sources of knowledge that I consider relevant, please write about it in the comments. I’ll be happy to share this information with you. Planning in trading. Two strategies for achieving goals. Goal setting in trading. What are your goals? Trading plan and its role in trading. What unites 95% of beginner traders. Trading styles. How to choose your style? What is trader’s one hour worth? A conscious choice of the trading style. What will be the role of trading in your life?